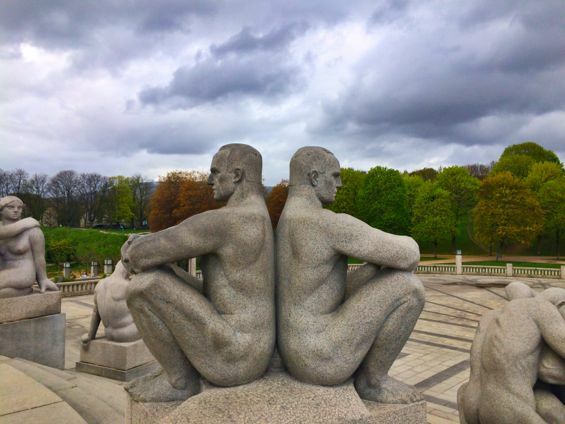 Before I visited Oslo, if you had asked me to name the most noteworthy sculptors, I would have thought only of the usual suspects: Rodin, Michelangelo, Bernini, and the like. 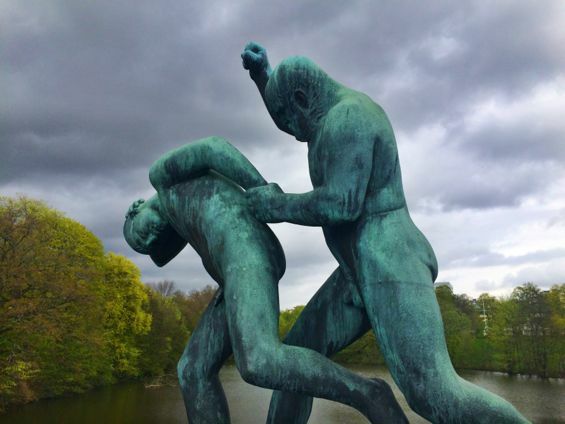 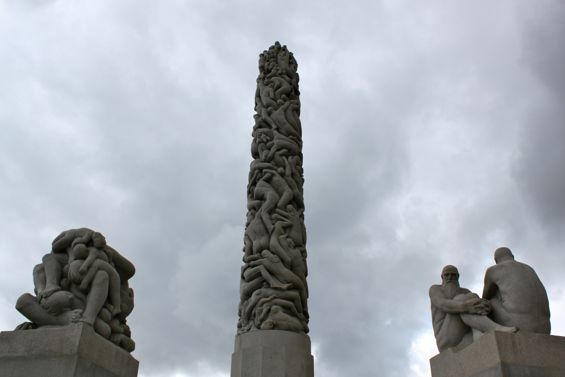 One name I would not have said – having never heard it before – was Gustav Vigeland. 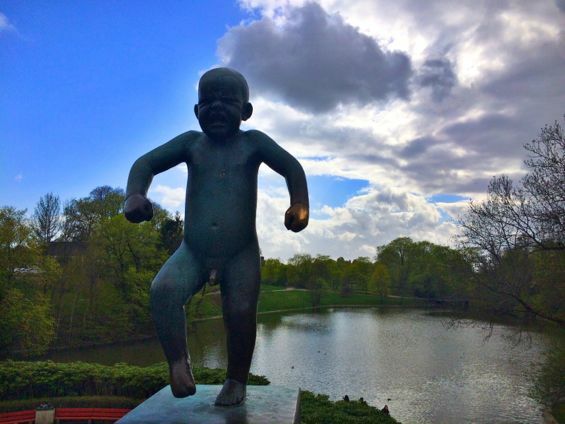 As it turns out, however, his is a name well worth knowing. 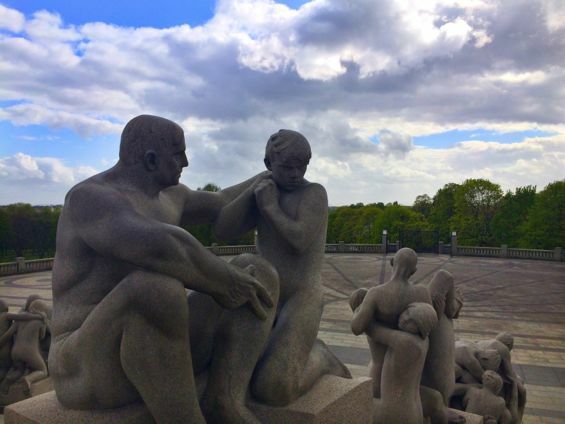 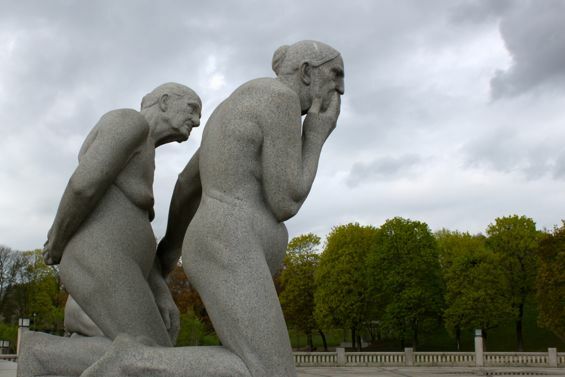 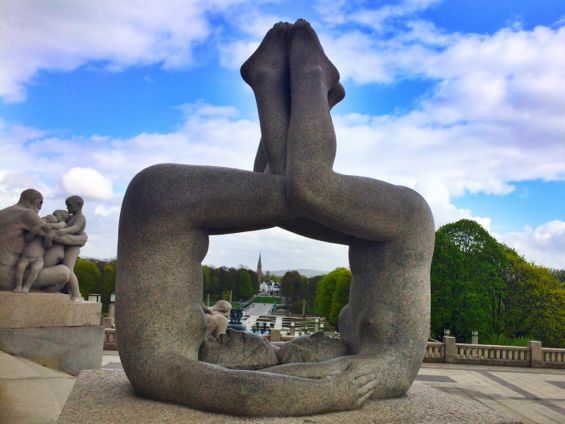 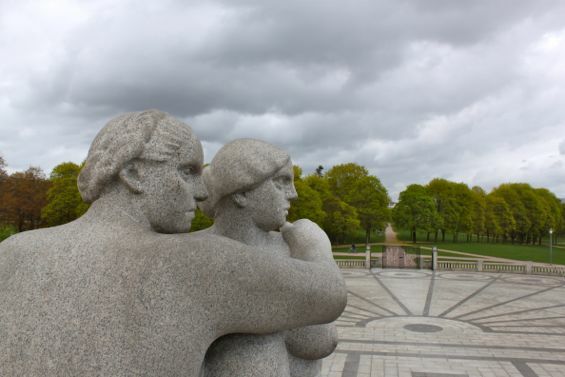 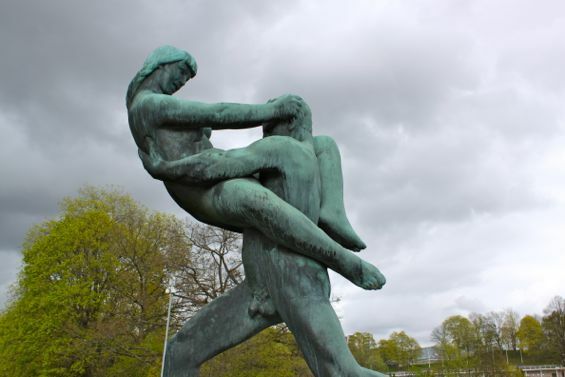 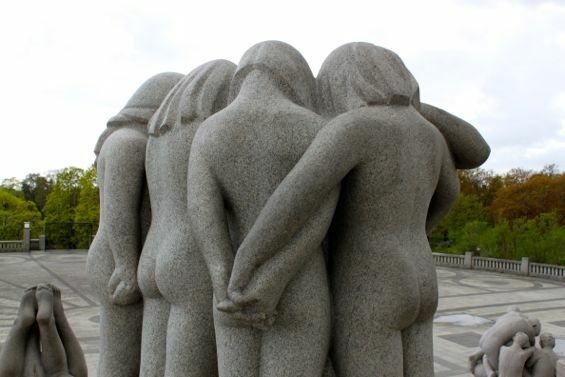 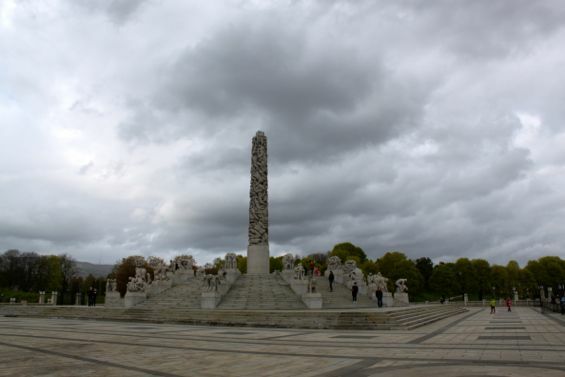 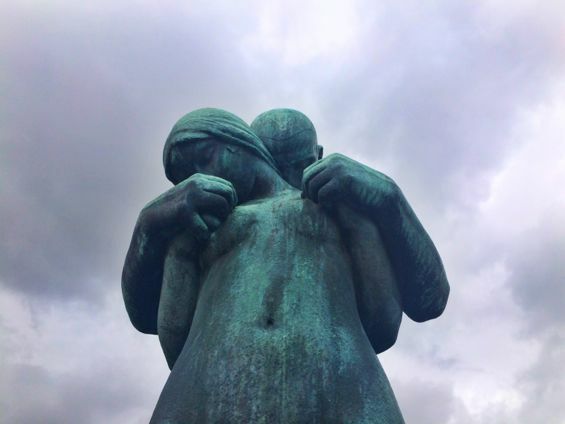 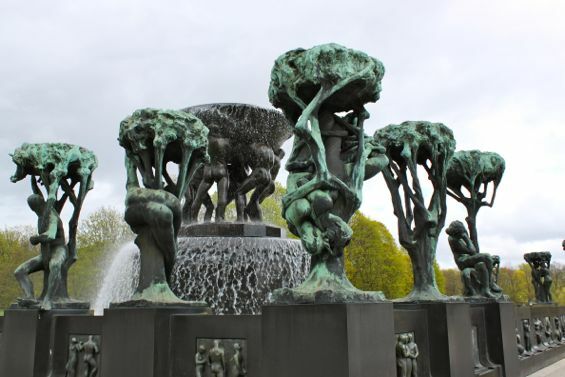 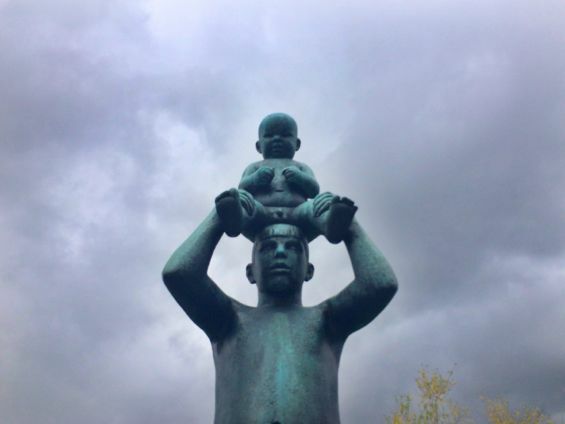 Vigeland is a Norwegian sculptor, perhaps best known for his work in Oslo’s Frogner Park. 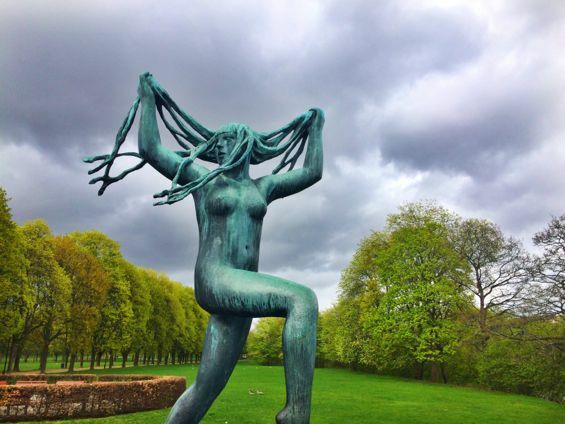 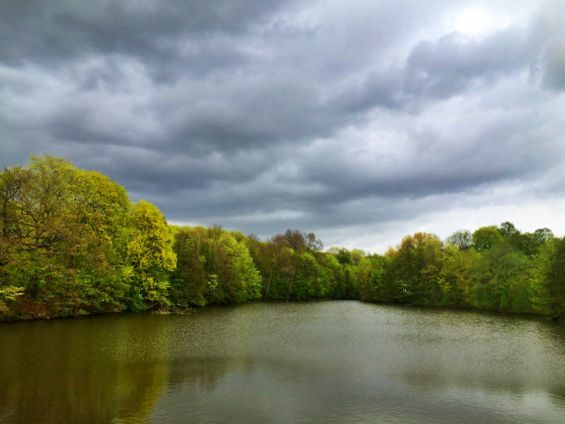 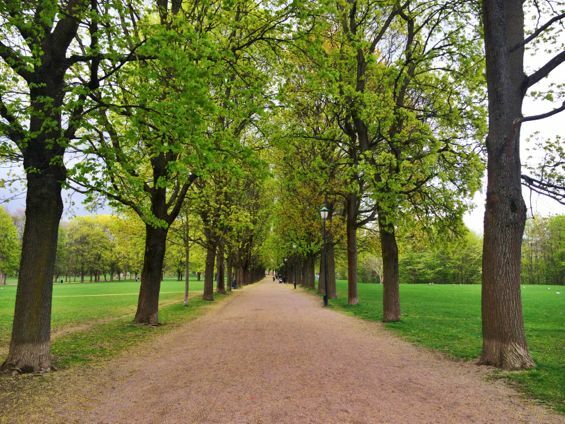 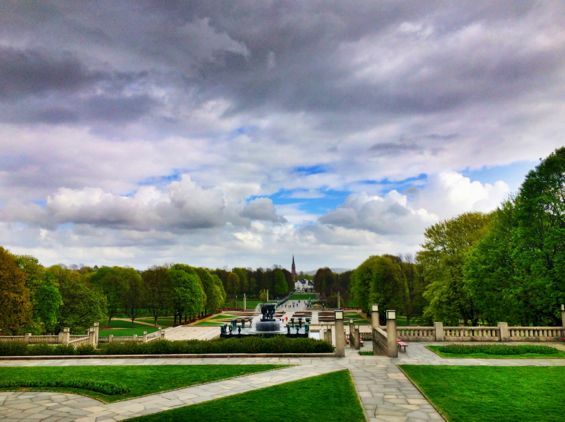 The park, just a quick tram ride from Oslo’s city center, is filled with Vigeland’s sculptures and divided into three main sections. 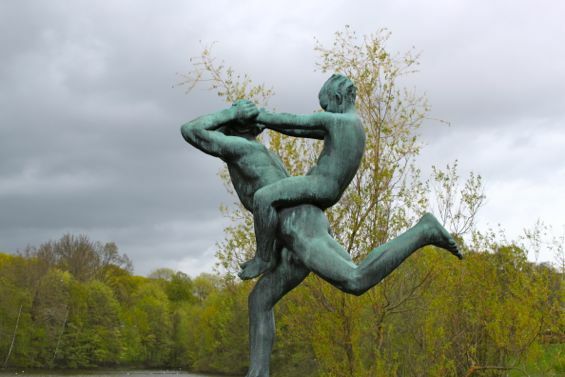 First, you cross a bridge lined with sculptures. 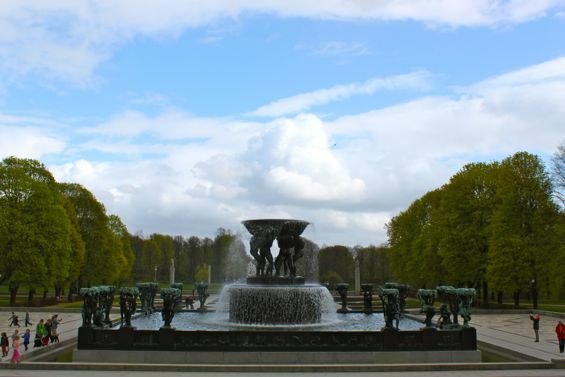 Then, you reach a fountain surrounded by sculptures. 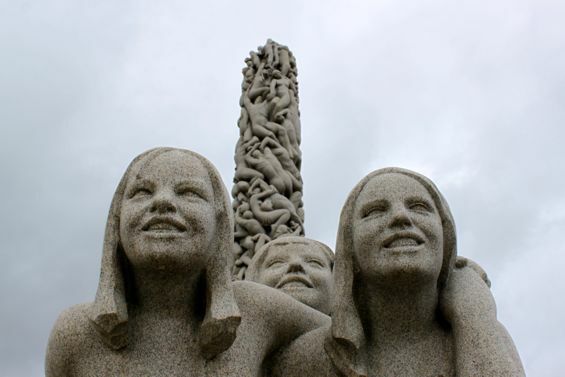 Finally, you come to the main event: the Monolith Plateau, which consists of circles of sculptures on steps leading up to a gigantic totem pole made of…still more sculptures. 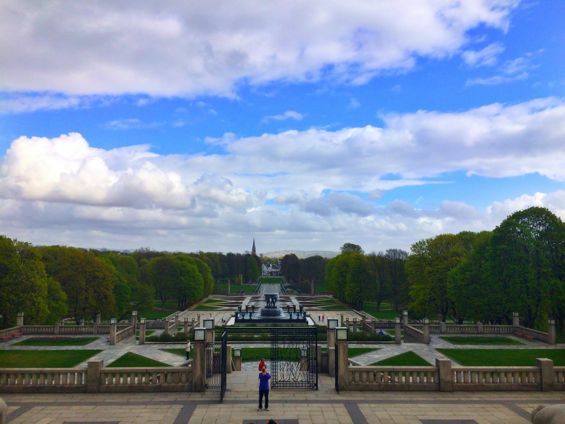 As the multitude of photos evidence, I adored Frogner Park. 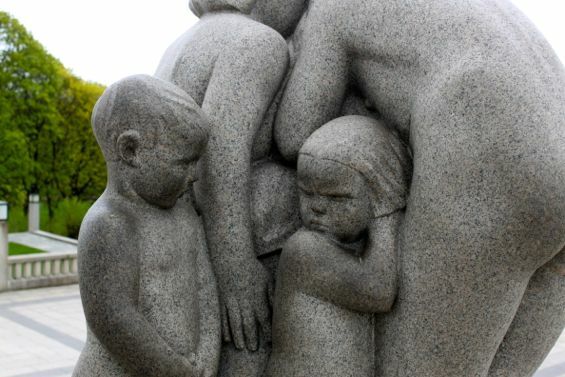 The sculptures themselves are wonderfully expressive and varied, consisting of figures young and old, male and female, and with poses of all sorts: romantic, sad, sexual, pensive, angry, and…downright weird. 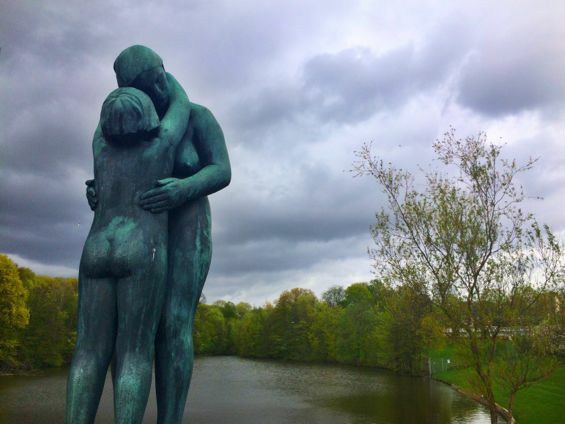 And it isn’t just the sculptures that are appealing, it’s also their setting: a gorgeous park, perfect for relaxing and wandering aimlessly. 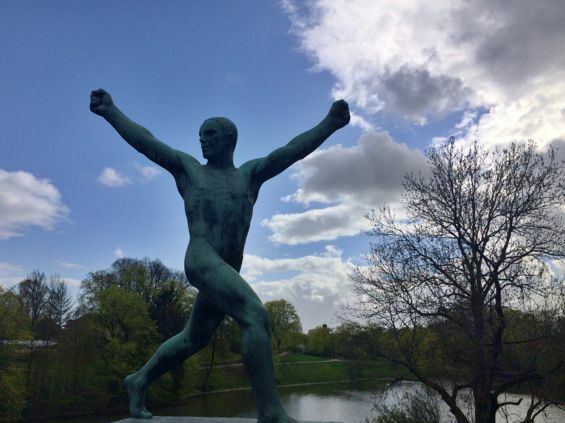 It reminded me of how I felt the first time I visited the Rodin Museum in Paris: utterly transported by the beauty of the art juxtaposed with the beauty of the natural landscape. 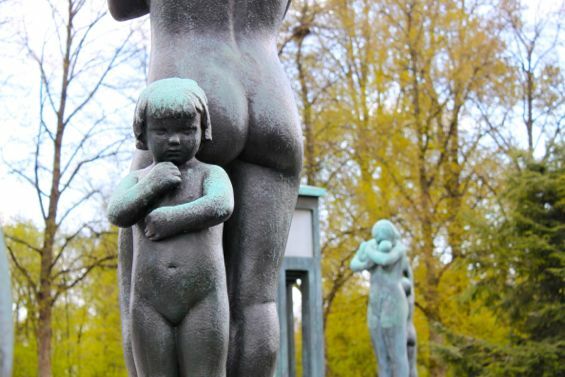 For my money, this is the number one must-visit in Oslo.